In Argentina, dermatologists are among the medical specialists least consulted for preventive medicine. Although from the Argentine Association of Dermatology recommend visiting a specialist once a year, most people have never visited one, without knowing that they can be carriers of some disease without apparent symptoms. First, we communicate the features of the new VW Golf GTI on magazines with an AD that was printed with a special typography. Why special? 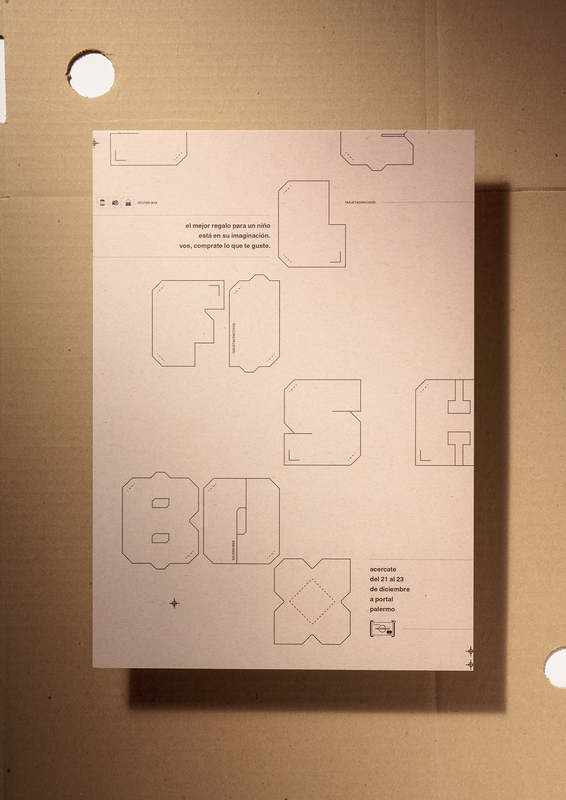 Because the font we used in the ad was faster to print than any other font. We developed the GTI version of the Arial and Times New Roman. The AD invited people to download them and share it with their friends. On the website, people could also calculate how much time they would save on any .doc, .docx and .pdf file. Missing Tag uses current technology in a way that was never imagined before: to search for missing children. Creating profiles for missing children, we made Facebook use its facial recognition system to automatically search for them within the millions of photos that users already upload on a daily basis. This generated a new real-time searching method where a positive tag could lead to key information to find him/her, such as last location and last time the child was seen. Help us reach the result we want. We created a plugin to be installed in HR computers that highlight what really matters about a candidate: the skills and capabilities. It equals candidates by hiding any gender related data from their LinkedIn profiles helping us prevent prejudice. 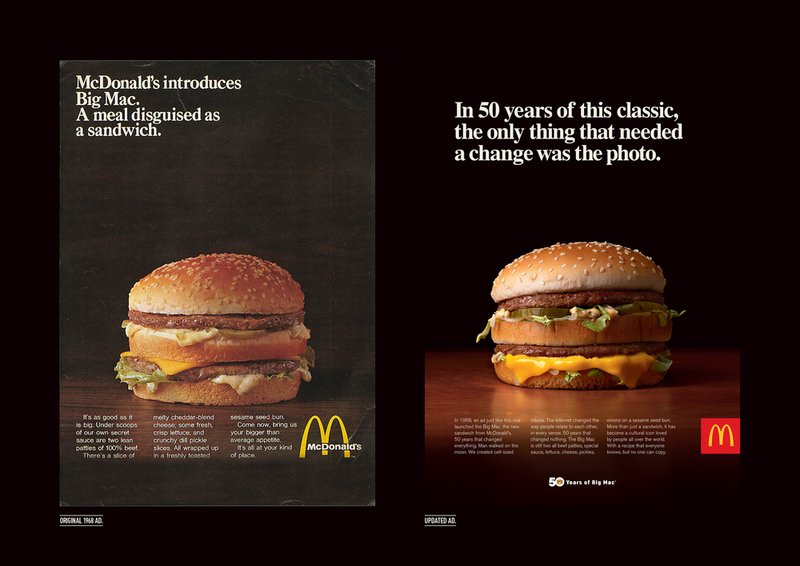 The Big Mac turns 50 years old. During this time, it has witnessed many changes, but it has always retained its original ingredients and original form. To commemorate its history, we made a tribute, rescuing all the packaging through the time for what happened to our classic. As a consequence of high inflation, Argentina has a very unstable economy. Because of this, people tend to be more careful with their expenses, and prioritize on fundamental needs. Christmas is a time of great emotional conflict for parents: on the one hand, they want to give their children a gift; on the other, they also want to receive one. Unfortunately, the economic situation in Argentina does not always allow for both. There is a general perception that young people can not handle responsibilities, causing them to struggle to get their first job. 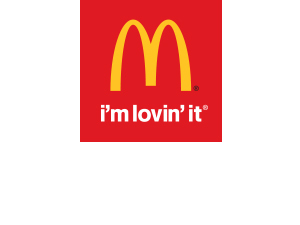 McDonald's launches a program for young employees, as an alternative to obtain the first job and gain experience in the laboral field. 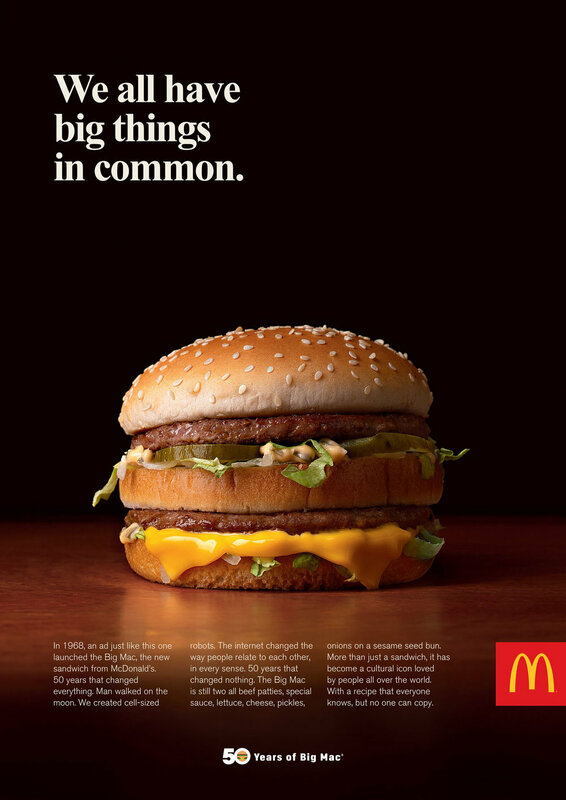 In 1968, McDonald’s launches its famous Big Mac. In 50 years of this classic, nothing needed to change. The only thing we could do to improve it is to change the photography out of its original advertising. In Sao Paulo, Brazil, a warrant has been issued to remove all street art on the city. It was news all over the country and people got crazy about it. So, in an attempt to preserve street art, we are asking to Google to don't refresh Google Street view on some roads, and help street art lives at least on the internet.